Searching for Shopify SEO and Marketing, Tips, Tools, and Resources to improve your search rankings, increase website traffic, convert more leads, and help boost your eCommerce revenues from Shopify? In this helpful guide to search engine optimization "SEO" and marketing Shopify websites, we cover why Shopify is good for SEO, the best themes that work, and on-page product optimization marketing. What are the best ways how to market your Shopify website? And SEO tips to boost your website traffic, leads, and sales? Is Shopify good for SEO? What Shopify SEO strategies can help you get to the first page of Google? We cover that in more in this all-in-one guide to SEO for Shopify. The official shopify seo and marketing guide. Shopify is one of the most popular eCommerce platforms in the world. According to data from builtwith.com, nearly a million ecommerce sites use Shopify. And there’s a simple reason. Beyond its ease-of-use, Shopify is good for SEO. As a result, many start-ups and retailers have leveraged the platform to grow quickly and drive traffic to their online stores. How do they do that exactly? With effective SEO for Shopify strategies. When you use the best SEO strategies for Shopify, you’ll amplify your marketing efforts and get to the top of Google faster. If you’re planning to switch to Shopify, or you want to launch a Shopify store, this guide will help you dominate search rankings for your most relevant keywords. These are the most important Shopify SEO tips that we’ve used to help eCommerce sites grow faster. If you’ve read this far, continue on your journey as you learn everything you need to know about marketing, promoting, and optimizing your Shopify websites. In other words, the platform is set-up for great SEO. But although Shopify is good for SEO, store owners have to do their part. Smart keyword research, keyword optimization, and well-designed product pages can make or break your SEO strategy for Shopify. Shopify Marketing & SEO Tip: As you begin to optimize and market your Shopify site, do your homework. Learn everything you need to know about SEO in our handy guide What Is SEO and How It Works. What Is Shopify SEO and Why Does It Matter? Search engine optimization (SEO) is the process of increasing organic search traffic to your website. You do this by optimizing your website with search keywords and optimizing for important Google ranking factors. Shopify SEO is using SEO strategies on your Shopify site. Shopify SEO tips, tools, resources and strategies. shopify: how to rank higher on search engines and keywords. Position 1 on Google generates a click-through rate of 30%; the second position earn just half that! In other words, if you rank at the top of Google, you’ll generate tons more traffic to your site, and if you convert these visitors, that means more Shopify sales. Shopify guide: how to select/pick the best keywords for Seo. b. How to Beat Your Online Competitors - Pick Better Keywords. Shopify seo guide: keywords, optimization, and strategies. 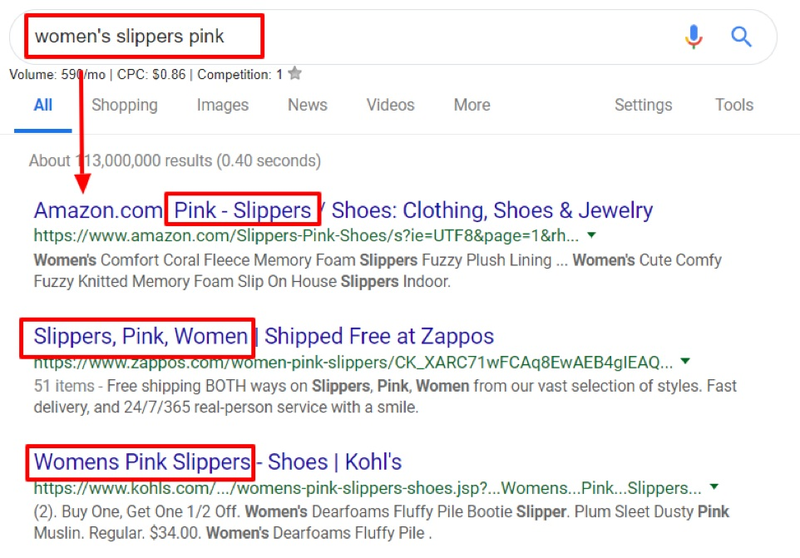 Shopify Marketing & SEO Tip: Adding descriptive words to your searches – like model names, colors, and features – can help you find lower competition keywords. how to optimize shopify website: marketing and seo tips and advice. Look for keywords that show buyer intent and target them on product pages. For example, the phrase “red dress size 8” has a high buyer intent. A search term like “pictures of red dresses” does not. keywords to pick for your shopify website. Shopify Marketing & SEO Tip: Adding modifiers to keywords like “buy,” “shop,” “for sale,” and sizes and styles can help you target high-intent searches. When people land on your Shopify website, there’s a good chance they are searching for buy something. The reason is simple: Shopify websites are eCommerce websites. They are designed to bring customers products and services that are relevant to the end-user. Interesting fact about Shopify sites: On average a web lead spends less than 5 seconds on a Shopify site. This means your website better convey its message, and quickly. You need to make sure your Shopify store loads lightning-fast. When we say “lightning-fast,” we mean in less than 1 second. In fact, your goal should be to load your website in milliseconds (not seconds). how to test shopify website speed. how to speed up your shopify website: tips to help with page load speed times. You also use a plugin like PageSpeed Guru to automatically speed up your Shopify site. For speeding up the mobile experience, try the Amplify Me Shopify plugin, which creates accelerated mobile pages for your site. Use a responsive theme in Shopify. Responsive themes look great on screens of any size, which is an important Google ranking signal. You can easily design a mobile-friendly, responsive website in Shopify because most Shopify themes already have the customization and formatting built into the theme. how to build a shopify mobile site. Choose a theme that’s user-friendly. People should be able to find your products quick, without having to make unnecessary clicks. #3 Best Shopify theme for businesses and startups. Let your product pages do the selling. First, start with great product photography. Great photos amplify sales. Second, incorporate reviews which help add credibility. Here are some more excellent tips to help you with marketing for your Shopify website. The key: Do things differently. SEO is a very important Google ranking signal. Without it, you will struggle to rank. So make it a priority to use some of these strategies to get higher rankings on Google and drive more traffic to your website. The more inbound links to your site, the better your site will rank. eCommerce sites can earn links from distributors, in product reviews and from affiliate blogs. We recommend that you aim for at least 10 backlinks per Shopify page! A strong social media presence helps you stand out, and social signals – likes and shares on products, # of followers, and social traffic – can help you rank higher in search results. We recommend using a social media sharing platform such as Buffer to post at least 3x per week on social media. Without optimization, your images won’t contribute to and can actually harm SEO on your site. Images that are too large, for example, slow down performance. We recommend that you optimize every image with simple alt-text and image descriptions. An image compression plugin like Image Optimizer will reduce file sizes of your images, without diminishing quality. Shopify makes it easy to add metadata to your images. Alt text is a brief description of what the image is, and it should include keywords. Shopify makes it easy to launch a blog. And blogging can help you generate traffic to your site and rank for organic keywords. Create content that’s relevant to readers and that’s optimized for keywords. Then, use internal links in blog posts to drive customers to your product pages. shopify content marketing and writing: best tips to know. Which Shopify Themes are Best for SEO? The best Shopify themes for SEO are almost always the ones where the categories for your products are easy-to-establish, and the ability to add meta descriptions and keywords, is as easy to do as possible. shopify themes with regular updates and consistent developer support, are always best. Bonus Shopify Theme Tip: Check the theme’s documentation for info about how recently it was updated. developer updates to shopify themes. The Plug in SEO for Shopify is a handy SEO tool. It helps users visualize important SEO tasks, like adding page titles, meta descriptions, and optimized content to each page. You can conduct a quick audit of your site too, using the SEO checker feature, and Plug in SEO also allows you to sign-up for email alerts for SEO performance anomalies. best shopify plugins to download and install. SEO manager puts 20+ features at your fingertips, and it’s a great tool for helping your rank your Shopify store on Google. The tool simplifies critical SEO tasks, including metadata writing, XML sitemap management, and its SEO scan tool is helpful for determining performance of an individual page. best shopify plugin for seo. Say goodbye to abandoned carts! Checkout Boost is the ultimate Shopify SEO tool for improving sales page conversions. The tool allows you to prevent cart abandonment, by offering promotions to potential abandoners, adding promotional parameters to sales pages, and adding countdown clocks to increase urgency. shopify plugin for abandoned shopping carts. When it comes to SEO, meta tags still matter. They’re an important ranking factor on Google. And the Ultra SEO app for Shopify makes meta tag management easier. You can open an editor for your store or individual product pages and quickly edit the meta tags. This is a powerful tool for keyword optimization on your Shopify store. best shopify plugin for keywords and seo. Reload is an all-in-one SEO tool for Shopify. It has some incredible features that will help you perform critical SEO tasks like backlink management, content optimization, traffic monitoring and keyword research. One great feature: The app allows you to track your site’s rankings and compare your rankings to competitors. shopify plugin for Backlinks, content optimization and keyword research. Image Optimizer automates image SEO for across your entire Shopify store. Once you’ve installed the app, you set parameters for how you’d like alt text to appear. Then, the app takes care of the rest, and writes alt text for all of your images. shopify plugin for image optimization, alt text, and meta descriptions. shopify plugin for schema markup and snippets (JSON). SEO Audit Pro is a useful whole store SEO auditing tool. You can use it scan your entire site, and the tool provides a great with action items for improving SEO. If you’re an SEO beginner, the SEO Audit Pro app can help you identify opportunities. It also provides helpful information about why each issue matters with tips to fix it. shopify plugin for seo auditing and monitoring. Reviews are a powerful sales tool and they can also enhance SEO on your product pages. This app from Opinew makes integrating reviews simple, and it allows for streamlined management of reviews data. If you’re serious about optimizing product pages, you need a review app for Shopify. shopify plugin for product reviews and management. Title tag is the No. 1 most important place to use keywords. This refers to the title that appears in Google search results, as well as browser windows. how to use title tags for seo. These are brief, 160-character descriptions of each page that appear in search results. Use this to draw people into the page – promotional offers work – and use keywords, which are bolded by Google. how to use meta descriptions to optimize your shopify site. You should use keywords in on-page titles, as well as in product descriptions, a blog, or a page. Our DSW example, uses the exact keywords in the H1 main title. how to add great content / copy / text to your shopify site. Quick Marketing and SEO Tip: More optimized content can help your pages rank. On category pages, like this DSW slippers page, some optimized footer text – which sits below your products – can help your pages rank. Learn more tags can also help you add content to product category pages. How can you design and build better product pages that convert more leads into actual customers? How do you get Shopify product pages to the top of Google? Well it starts with effective optimization, the right images and information, and a well-designed experience. Then, once you’ve driven people to the page, you’ll want to follow conversion optimization best practices to turn more of your visitors into customers. 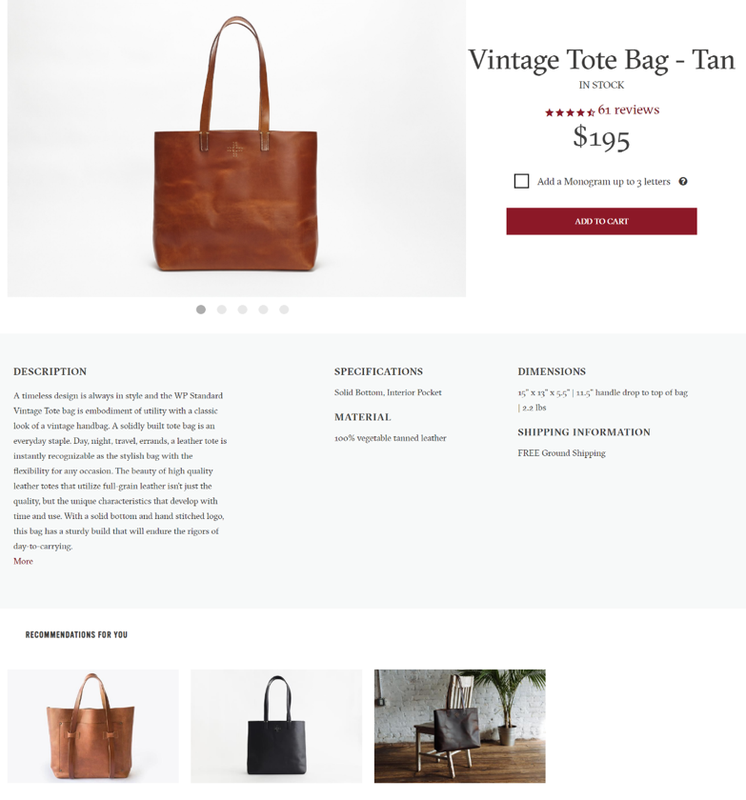 To get started, let’s look at an example of a great Shopify product page. This tote bag product page from WP Standard hits all the right marks. 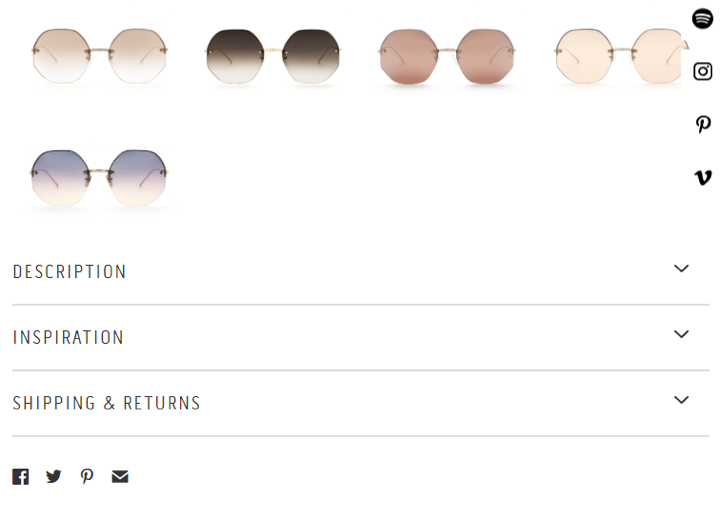 best shopify product page design example. Why is this such a great product page? We’ve broken down each element of the page to give you some ideas for optimizing your product pages. 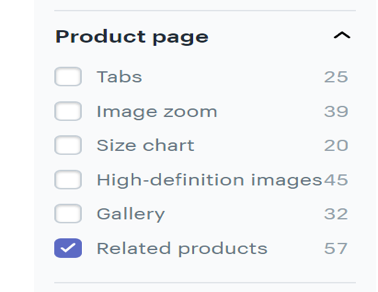 how to optimize product pages on shopify. Use your focus keyword in the title tag. This is the main keyword you want to rank for. To rank in long-tail searches, you can add modifiers including colors, sizes, brand names or model names. Without incredible product photography, your pages won’t do a great job of selling. Be sure you’re using a hero image that flatters your product and include several variations. Also, be sure you’re using keywords in the image file names, titles and alt text. how to add images to shopify. More content on your page can help you rank in search. Yet, chances are you’ll want to be brief on product pages. how to add descriptions on shopify. how to use shopify drop-down menus. where to add content descriptions on shopify. TIP #4: How to Add Product Reviews on Your Shopify Site. A huge trust indicator. Lots of reviews helps customers feel comfortable making a purchase. Expand optimized content. Written reviews add content to your page, and often, this content contains keywords. 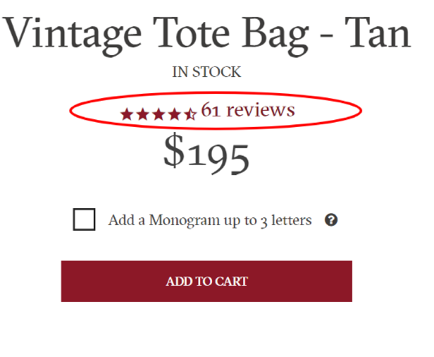 You can instantly boost the text count on a page by allowing reviews. How to add product reviews to shopify. Quick Shopify Developer Tip: Use a Shopify app to incorporate user-friendly reviews. Some of the best apps for Shopify include: Stamped.io is one of the best, which is used by leading brands. Here’s a helpful conversion optimization tip: Integrate easy upsell and promotional options into the checkout process. 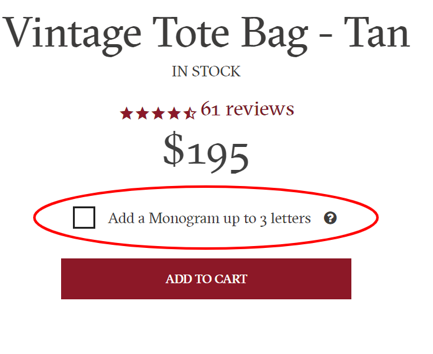 how to add monogram or custom options for shopify products. how to add promo codes and coupons to shopify products. These offers can help you increase average cart values, and drive significant revenue growth. The key is to keep them relevant and offer demonstrative value (e.g. a 6-piece FREE gift) or personalization options (e.g. a custom monogram). There are tons of Shopify apps that can help you add coupons, credits, promos and special offers. Recommendations have also been shown to be a great conversion optimization tool, which can help you cross sell complementary items and accessories. how to add product recommendations to shopify. Users can hand select and add complementary products to each individual page. This allows for complete customization, but it’s very time consuming. Not an ideal choice for stores with 100s of products. Search in the Shopify themes store for themes with Related products functionality. Just browse all products, then open the Product page tab, and check Related products. There are dozens of plugins that can help you integrate customized recommendations. The best Shopify plugins for recommended products include: Personalized Recommendation, Frequently Bought Together, and Also Bought. Here’s one feature we didn’t see on the WP Standard product page: Urgency signals. Urgency signals encourage sales by giving shoppers time limits, stock levels, and other bits of information during the checkout process. The following image is a strong urgency indicator from Udemy for a New Year’s Sale. Go to Shopify’s tools site and install one of the countdowns to your website. Monitor these countdowns to determine their efficacy. Change these offers every week so as to A/B test which are the best for converting leads into sales. Quick Shopify Tip: You don’t have to be an expert to incorporate these. 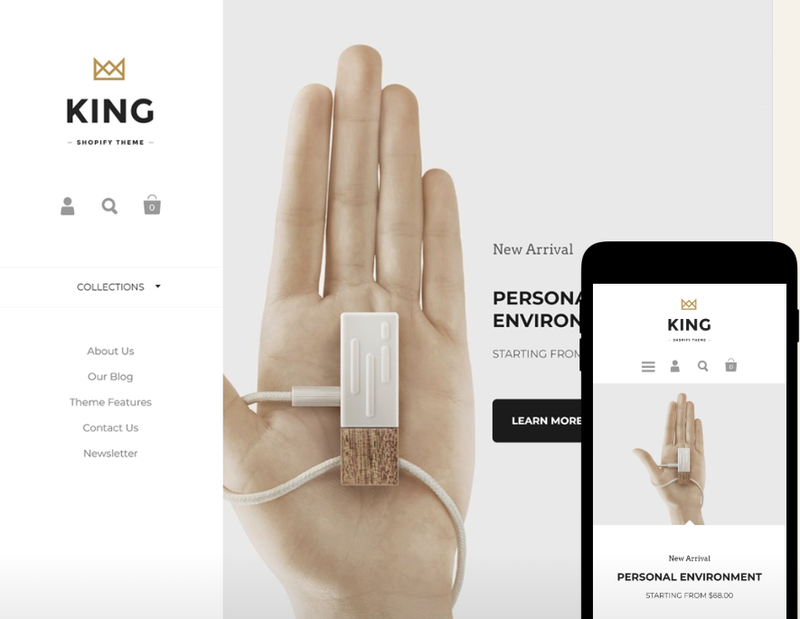 There are dozens of great Shopify tools for creating urgency. You can find an app for executing many different techniques, from cart countdowns to limited-time offers. The No. 1 position on Google earns about 1/3 of clicks for every search results page. That represents a huge opportunity for Shopify store owners. Getting to the top of Google will bring many more customers into your store. It can significantly increase sales opportunities. The good news is that you don’t need to be an expert to achieve Page 1 rankings; you just have to be smart, work hard and use SEO best practices to refine and improve your store. Need a little help? Vail Networks offers proven Shopify web development and SEO optimization services for business. Call now for a free consultation: (800) 313-7950.
company for shopify ecommerce web development and marketing.